Klonopin is a benzodiazepine prescribed to treat seizures, panic disorder, and anxiety. Like other drugs in the benzodiazepine class, Klonopin does come with a risk of dependence and addiction. When misused, the drug can cause paranoia, problems with coordination and judgment, and can even induce suicidal thoughts and attempts in at-risk individuals. Also, mixing the drug with alcohol is incredibly dangerous. Klonopin is a central nervous system suppressant, and alcohol slows respiratory rate. When taken together, the effects of either substance become pronounced, and results can be deadly. People who are addicted to Klonopin will often mix it with alcohol or other drugs to get this noticeable effect, putting themselves at risk for serious medical problems and overdose. Benzodiazepine overdoses, including Klonopin, have grown in the last few years. Now, benzodiazepine overdoses and addiction are second only to opioids, which have become a national crisis. Even worse for people who are addicted and want to quit, benzodiazepines aren’t safe to stop taking cold-turkey. People must undergo a supervised tapering off schedule with the drug to avoid dangerous withdrawal symptoms. The following article will explore the Klonopin withdrawal timeline and how someone can quit in a safe environment. What is the timeline for Klonopin Withdrawal? Klonopin, like most benzodiazepines, lingers in the body much longer than most drugs. When someone stops taking Klonopin, they may not feel anything different for several days after cessation. Within the first 1 – 3 days, mild physical and emotional symptoms will present. By the fourth or fifth day, people will experience a ramping-up of symptoms, and during the first two weeks, signs will remain severe. It is during this stage that people are at the highest risk of experiencing potentially deadly seizures and coma. After about two weeks, most patients report a gradual lessening of symptoms. But, in unfortunate cases and especially if someone doesn’t get help from withdrawal from professionals, symptoms can linger for months to years after cessation. The only way to avoid this or treat it if it occurs is with help from qualified doctors and therapists. What physical issues arise during the withdrawal stage? Because Klonopin suppresses central nervous system functions, when it is ceased, these functions can suddenly go into overdrive and cause extreme physical distress. What emotional symptoms will someone experience during withdrawal? Because emotional symptoms are likely to become protracted with Klonopin addiction, people who are trying to stay clean need ongoing support from professionals well-versed in drug addiction. In a medical detox center, trained therapists, doctors, and social workers all work together with patients to craft and execute a maintenance plan, so patients can quickly get help from any emotional problems they may experience during and after the withdrawal process. What is the difference between a cold-turkey versus a medical detox with Klonopin? With a cold-turkey detox, people who are trying to quit Klonopin will do it suddenly. 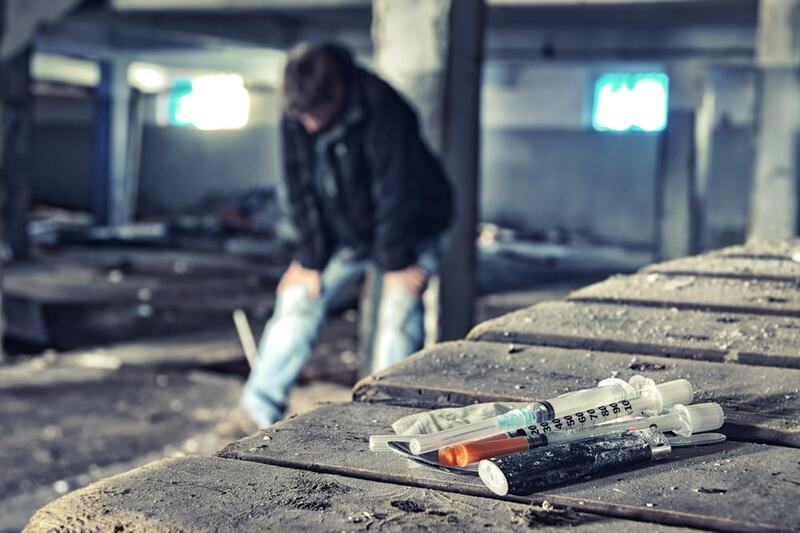 This can even happen to people who’ve been addicted for a long time, but their supply dries up. In these cases, withdrawal symptoms become dangerous, intense, and long-lasting. Contrast that with medical detox, where doctors are available and can put patients on a weaning off or tapering schedule. With drugs like benzodiazepines, the medical community encourages people who are addicted to Klonopin get help from a medical detox center. Benzos like Klonopin cannot be quit cold-turkey. Dangerous seizures and cardiac problems can happen, and people are at high-risk of developing depression and harming themselves. What is safe during detox? Small doses of benzodiazepines are safe during detox. So are beta blockers and antidepressants. Because sudden cessation can cause cardiac issues, some patients may need beta blockers to regulate heart rhythm and blood pressure. For patients who are at-risk of experiencing seizures during withdrawal, doctors can prescribe anticonvulsants to mitigate this risk. What isn’t safe during detox? It is not safe to take certain drugs or alcohol during Klonopin detox. Since Klonopin withdrawal often gives people anxiety or panic attacks, any stimulant is not recommended. Patients should avoid caffeine while undergoing detox. In a detox facility, patients are accessed for underlying mental and physical health conditions and polydrug use. Doctors take a thorough look at medical history and give an exam to patients to determine a safe tapering off schedule. During the first few days after cessation, patients are kept in a secure, safe environment where they can be monitored 24/7 for dangerous withdrawal symptoms. Once patients enter the acute phase of withdrawal where symptoms are most severe, doctors and therapists can assist them with safe, legal medications to lessen the severity of withdrawal and keep them in a serene environment where they’re supported and helped through this difficult phase in their recovery journey. Once symptoms begin to lessen, and the Klonopin entirely works its way out of the patient’s bloodstream, a team of doctors, social workers, and therapists work with the patient to formulate and execute an ongoing maintenance plan. This plan will most likely include a stay in a rehab center, along with pre-scheduled therapy sessions and a timeline for outpatient recovery. How is Klonopin withdrawal different from other prescription drugs? Since Klonopin is a benzodiazepine, people who are addicted must taper or wean off the drug. Other drugs don’t require such a nuanced approach to cessation. But with Klonopin, suspension comes with the risk of dangerous and deadly side effects. How are people affected differently from Klonopin withdrawal? Individuals respond differently to Klonopin withdrawal. How long someone has been addicted, and if they have any polydrug abuse issues can increase the severity of symptoms. Also, a person’s age, weight, metabolic rate, and their physical and emotional health all play a role in how long and how severe symptoms will be. But help from a medical detox center can significantly reduce Klonopin withdrawal severity and longevity.